Over the years, many myths have come up surrounding divorce cases. These are often the result of someone believing their personal divorce experience is representative of all experiences or quoting something they heard from a friend of a friend. The problem with these myths is that they spread misinformation about the divorce process, and this can lead to people losing money or not fully understanding their rights. 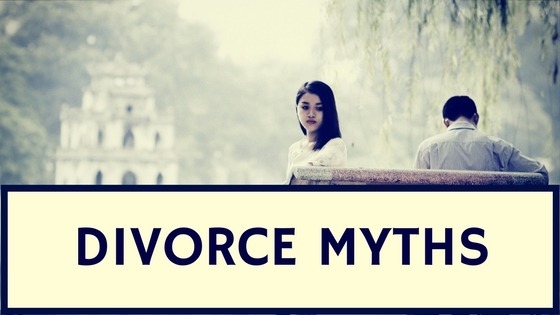 Here are the most common myths about divorce litigation and the truth behind them. Technically, you can handle your entire divorce without hiring a lawyer. You could also technically try to swim across an entire ocean, but that doesn’t make it a good idea. With a typical divorce, there will be quite a bit on the line. You obviously need to divide property, and there could be spousal support, as well. If you and your spouse have children, you will need to figure out child custody, visitation and child support.. If you want the best result for yourself, then you need a divorce lawyer to represent you. You’ve probably heard some form of this plenty. If you had a cheating spouse, people will tell you to save any evidence you have of the infidelity to show the court and get a favorable ruling. Most divorces are no-fault divorces, which means the court doesn’t consider either party at fault. This has become the standard type of divorce in the United States, and many states, unlike Texas, only have no-fault divorce available. In Texas, wrongdoing on your spouse’s part, may often factor only slightly in to your divorce. The family law court will simply be looking for a fair way to settle the divorce, not punish either spouse for their misdeeds. However, an exception to this a child custody case in Texas, where wrongdoing is often a significant factor. If this was true, the court would just give each spouse whatever had their name on it. If you had a credit card in your name, the balance on it would be yours to pay. If there was a car in your spouse’s name, that would be theirs. Although the court can do this, it aims to provide a fair, balanced division of assets and debts over distributing everything based on whose name is on the title. All assets and debts accumulated during the marriage is subject to division regardless of who’s name it is in. It’s important to understand that every divorce is different. There isn’t one method that the court applies to every divorce to decide who gets what. In some cases, the division of assets and debts will be even or close to even. But this isn’t always the case. If one party earned much more or came into the marriage with much more, they may keep more after the divorce. One prevalent myth about child custody is that the court will let the child decide. Sometimes this myth includes an age when children can decide, as well – for example, if the child is at least 14, they can decide where to live. The child may be asked where they want to live, and their answer will be one factor the court uses to arrange custody, but it won’t be the only factor. It’s all about what the court thinks is in the best interest of the child. Don’t believe everything you hear when it comes to divorce. As the myths above show, there is a lot of misinformation out there. Does Adultery Affect Divorce in Texas? A Texas Divorce Attorney Explains. What are Potential Property Arguments in Your Divorce? A Texas Divorce Attorney Explains.